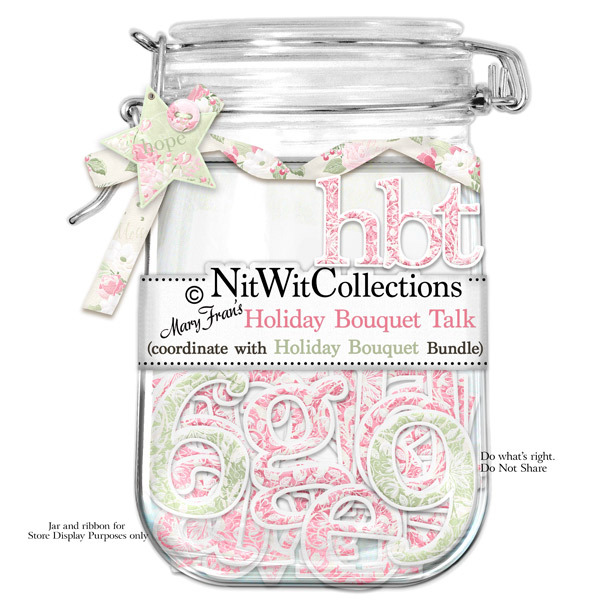 "Holiday Bouquet" Talk adds extra flair and charm to your scrapbooking layouts and cards with the ability to add in words, phrases, dates, and titles in regal form. An alpha you don't want to be without! 1 AlphaWit set of lowercase letters, &, exclamation mark, hyphen, question mark, quotation mark and set of numbers (0 to 9). Letters and punctuation are in pink and numbers are in green.